Home>Posts>Is Poland at the Threshold of an Energy Transition? Is Poland at the Threshold of an Energy Transition? Poland has been very successful in improving its energy efficiency and decreasing carbon emissions over the last 25 years. However, aging energy infrastructure, high carbon intensity and the need to maintain security of energy supplies are creating an urgent need for rethinking the Polish energy sector. 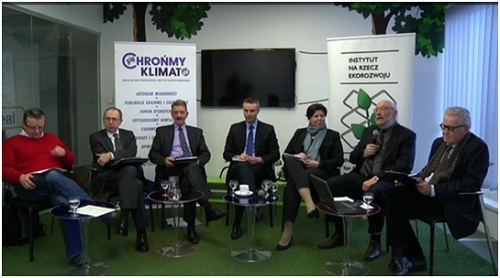 To discuss these issues, Izabela Kielichowska, GE Energy Policy&Government Affairs Director for Central Eastern Europe had the pleasure to participate in an online live debate regarding climate and energy package 2030.